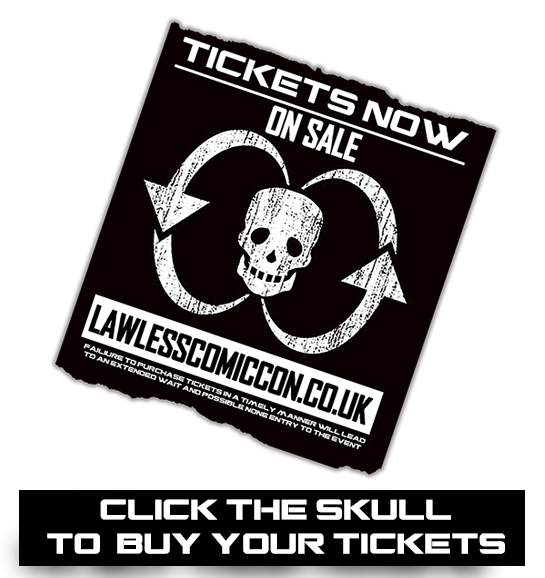 Lawless Comic Convention is a British based not for profit comic convention organised by fans and for fans. Following the sad passing of Carlos Ezquerra in September 2018, the Lawless team have been working closely with Dredd creator John Wagner to dedicate our next convention to the Spanish artist. We’ll have interviews with fellow creators who worked with Carlos and a dedicated Exhibition showcasing his extensive career through the decades, with original rare art on display. This year we have our biggest creator list ever, over twenty writers and artists will be joining us for the day to sketch and sign and say hello, including John Wagner, Ian Gibson, Alan Hebden and many more! We’ll be announcing more guests as the months progress as well as the programme for the day nearer the time. Lawless is a family friendly event and cosplay is very welcome! Tickets are £25 for General Admission in advance and £30 On The Door. Trader Tables available for £20.